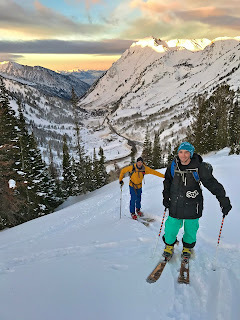 For the last few seasons I have had a weekly ritual of a dawn patrol tour in the big city Central Wasatch just east of Salt Lake City. I live and spend most of my time in the northern Wasatch in sleepy Ogden situated just an hour north of Utah's capital city. 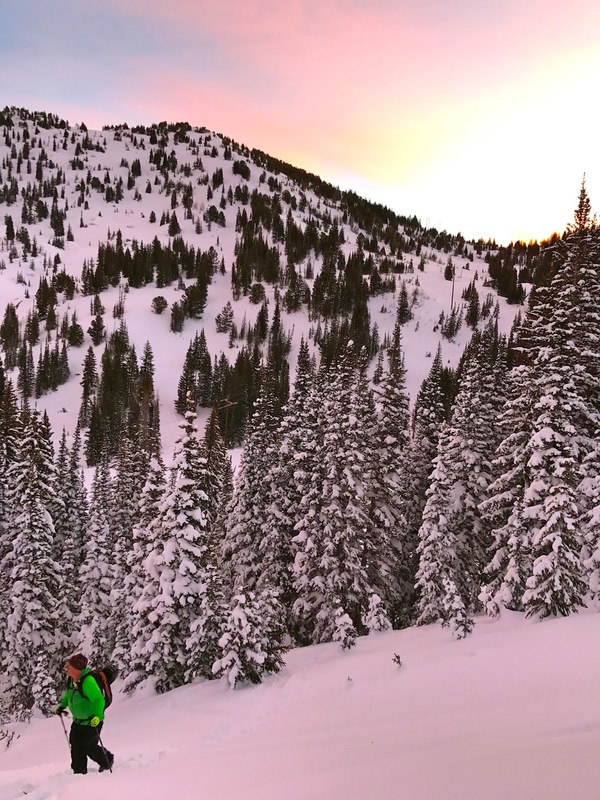 In my younger days I frequented the Salt Lake Wasatch much more, but as I aged and fell comfortably into my place in the north country I kind of stopped making the one-hour commute down to the busy city. A few years ago I started scheduling a weekly meeting with the fellas down at Telemark Skier Magazine, which is headquartered on Salt Lake's west side. As a result, I began doing a weekly morning dawn patrol tour to make the most of my southern migration each week. I rallied a few friends and by now we have a nice little weekly tradition going. 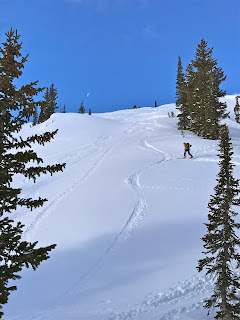 The early season this year had a late start, but has come in pretty heavy recently ramping up the avalanche concerns, but our short and small slope approach to our weekly dawn patrols has paid dividends in low angle sheltered ski turns with relatively low avalanche exposure. ^Sunrise in the mountains is a special time of day. 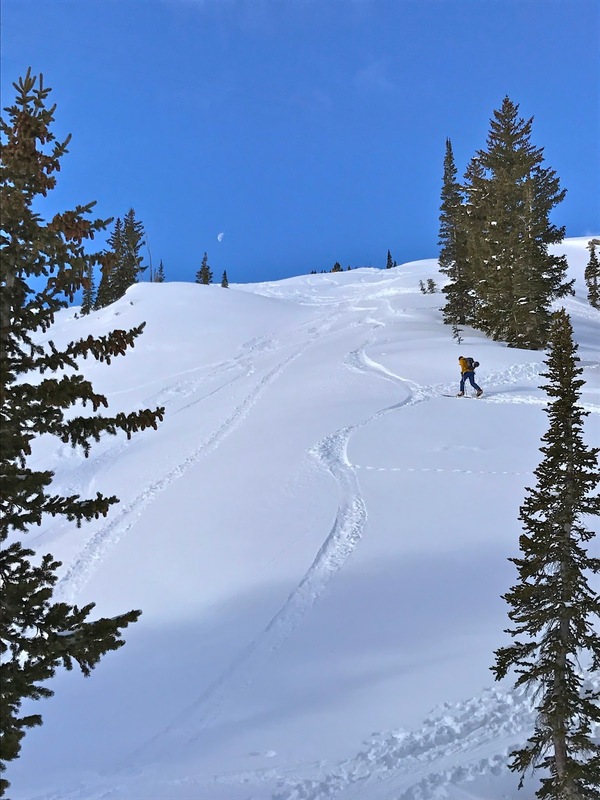 This time of year is usually more about getting in shape then it is so much about finding glorious turns. To me though, these scenes of touring in quiet mountains under a pink sunrise is good food for the soul and I could care less about the quality of the turns. ^The sunrise magic hour brings on the pink light like a flood. ^Taking in the views with good buddies brings it all together. ^The turns have actually been pretty good too. 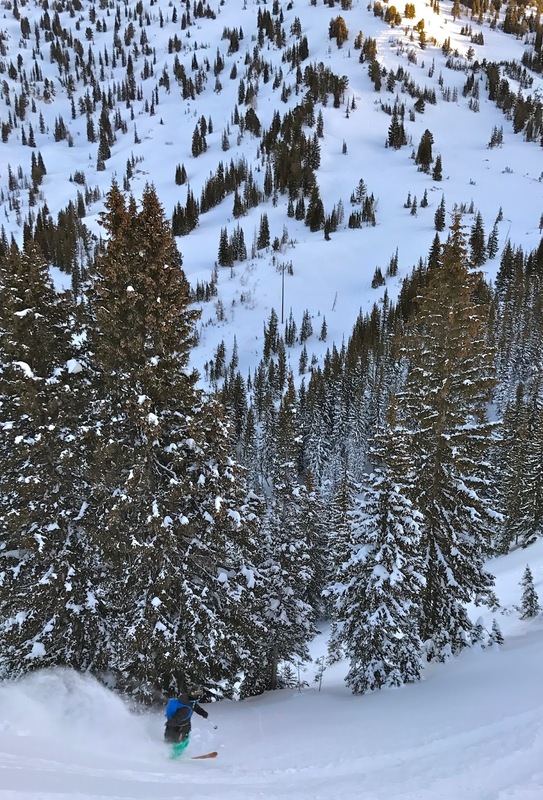 Low tide has still been a real concern along with the avalanche dangers, but low angle slopes in the glades up in the higher elevations have proven very fruitful for us each week. The season is still really just beginning, but the start has been a pretty good one so far. 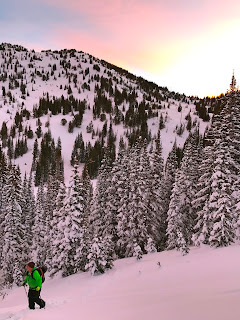 Good walking, good turns, great friends, and beautiful scenes is really all I can really hope for, and this early season has provided all that in spades. 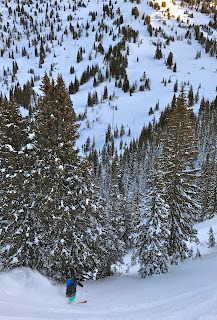 My spirits are high, the snowpack is getting there, and everything is all good downtown in the big city Central Wasatch.